Ottawa, Ontario – January 29, 2019 – Ringette Canada today announced that it has selected SportsCanada.TV as the webcast provider for the 2019 and 2020 Canadian Ringette Championships and the 2019 Word Ringette Championships. SportsCanada.TV is Canada’s largest online amateur sports network and works with a number of national sport and multi-sport organizations across the country to provide comprehensive webcasting services. 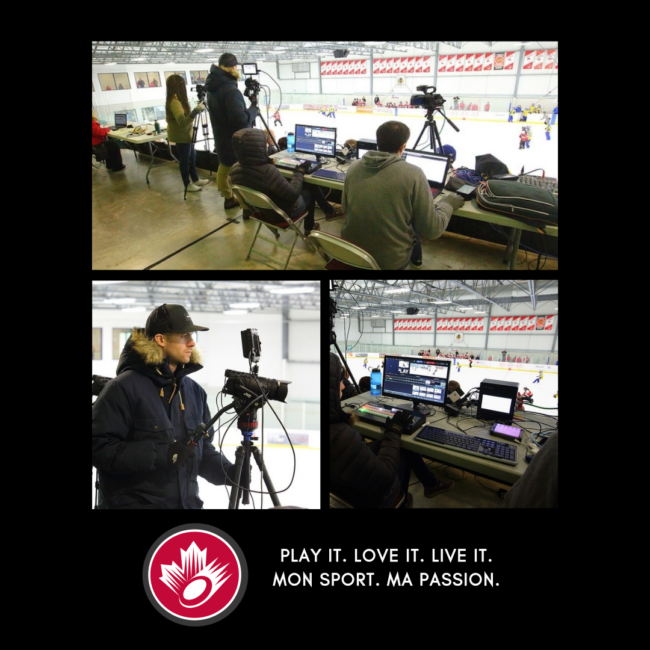 SportsCanada.TV has also been involved in webcasting ringette events in the past. The 2019 Canadian Ringette Championships will be held in Charlottetown/Summerside, PEI from April 7-13, 2019; the 2019 Word Ringette Championships will be held in Burnaby, BC from November 25 to December 1, 2019; and the 2020 Canadian Ringette Championships will be held in Ottawa, Ontario from April 5-11, 2020. Ringette is a Canadian sport that was invented in 1963 in North Bay, Ontario by the late Sam Jacks. There are currently over 31,000 players on nearly 2,000 teams across Canada, with over 1,500 officials and nearly 8000 coaches. Internationally, it is played in more than a half a dozen other countries around the world. Ringette has been designated a Heritage Sport by Sport Canada and as part of the Sport for Life movement, ringette is well advanced at adapting Sport Canada’s Long Term Athlete Development model. As a proud member of True Sport, Ringette Canada is committed to sport that is values-based and principle-driven. For more information, please refer to the Ringette Canada Web site at www.ringette.ca.